Performance dates are Nov. 20th (preview), 25, 26, 27th, Dec 1st to the 4th and 8th to the 11th. 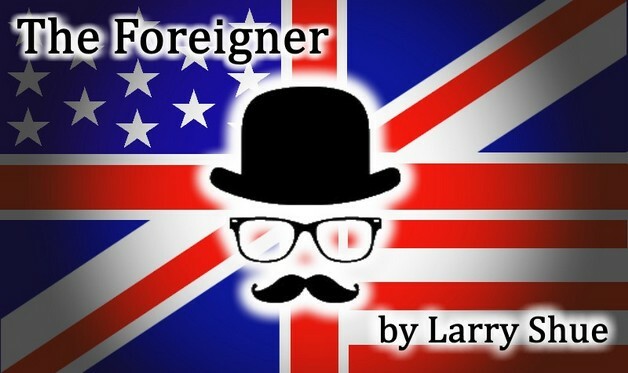 The Foreigner is a fun, two-act comedy by American playwright Larry Shue. The story takes place in a fishing lodge in rural Tilghman County, Georgia where two Englishmen, Froggy and Charlie, arrive as guests. The shy Charlie agreed to accompany Froggy on the trip after his sick wife begged him to go. When people at the lodge try to talk to Charlie, however, he remains silent: he is terribly shy, depressed about his wife's illness, and cannot find the words to reply. Froggy claims that Charlie cannot talk because he is a "foreigner" from an exotic country, and does not understand English. Taking the explanation that he's a non-English speaker as fact, the lodge's guests quickly begin revealing their secrets, and Charlie soon discovers scandals amongst some of the residents of the lodge.